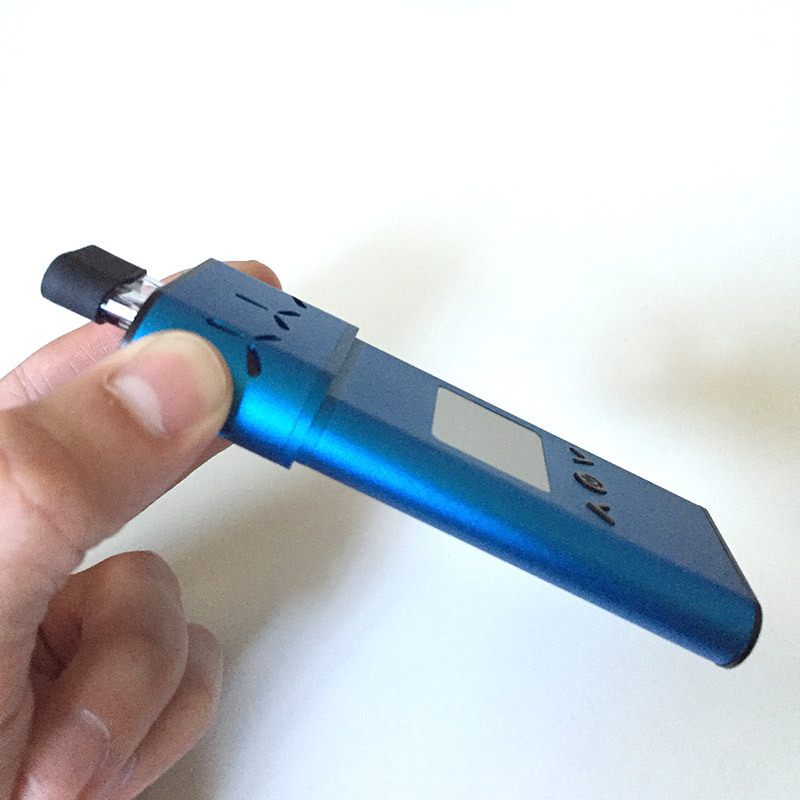 The AirVape Xs is a personal hand held vaporizer that specifically vaporizes dry herb. It’s an upgraded version of the original AirVape and from our experience, the Xs does that one simple job really, really well. 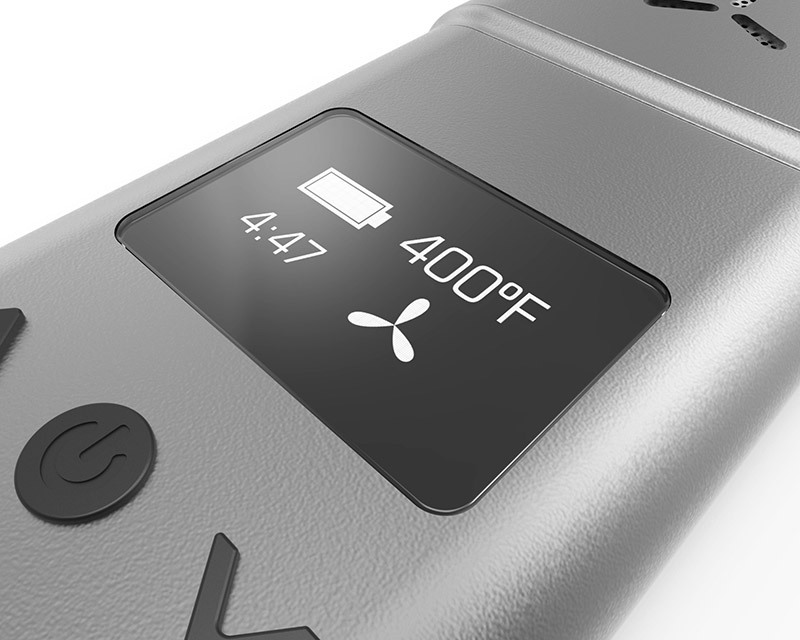 The Xs features variable temperature settings, an automatic shutoff countdown and an oven chamber that evenly heats your dry herb. 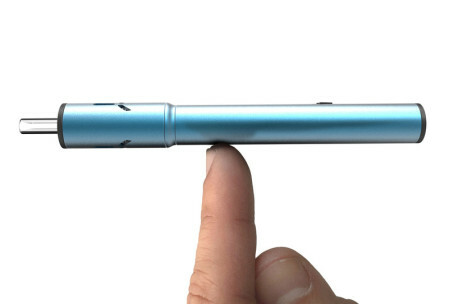 It’s advertised as one of the thinnest vaporizers on the market, and for a device that’s about the size of an iPhone, it’s impressive how simple, yet efficient the AirVape Xs is! And the added health benefit of essentially eliminating the tar from traditional burning is more than just icing on the cake. The design is sleek and simple with a super slim profile. The vape features a hard case metal body and a glass and rubber mouthpiece. 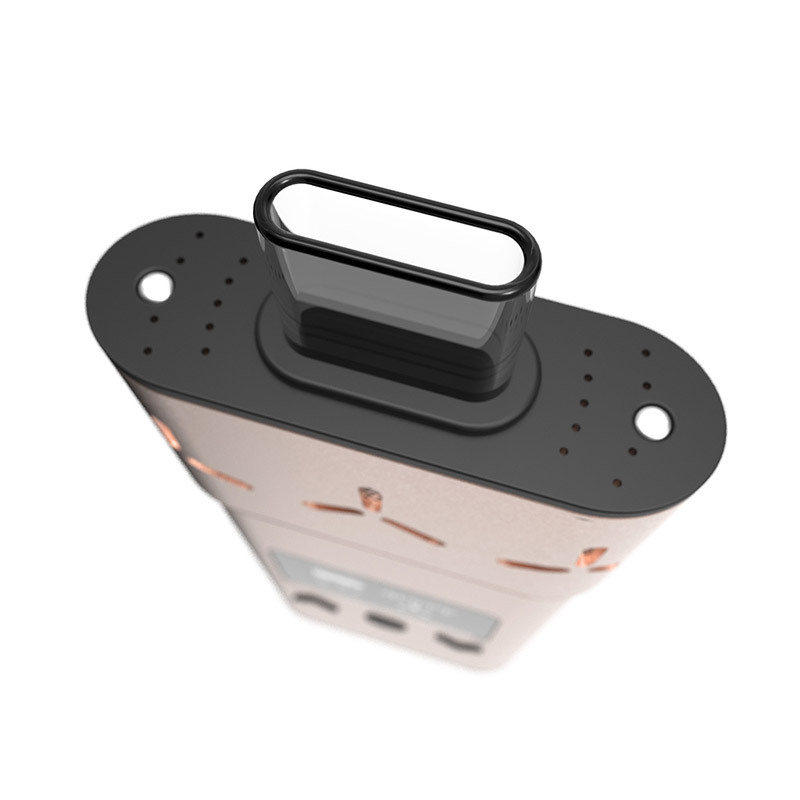 It has an easy to read 1.3″ screen that displays battery level, temperature, and an automatic shutoff timer. 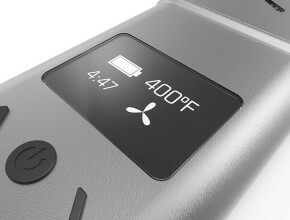 Below the screen is one “on” button and two “up/down” buttons for easy temperature & automatic shutoff timer adjustment. The AirVape Xs is the electronic personal vaporizers answer to (almost) one touch and go vaping, and it comes in a variety of metallic colors to suit your style. The oval shaped, ceramic oven chamber of the AirVape Xs isn’t as deep as other vapes on the market but it does its job well. It heats evenly, efficiently and safely using a combination of conduction and convection technology. 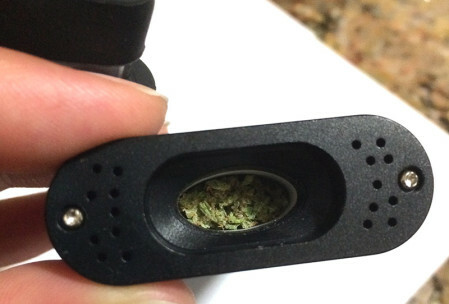 The vape’s temperature can be controlled within the range of 200-428 F.
Cleaning is relatively simple: the AirVape Xs has a removable screen, although there are a few small parts to keep track of and because the oven chamber is sealed using a rubber mouthpiece, it’s easier to open than other vaporizers with screw top oven lids. The device can be refreshed back to near-new condition using the included dry brush and some alcohol to soak the pieces in. The AirVape Xs does not come pre-charged right out of the box. It will need to be charged before first use. Once charged, using the device is simple. Pull out the glass/rubber mouthpiece to reveal the oval screened in chamber. Load the chamber with ground herb, tobacco or a combination of your favorite herbs, greens and leafy smoke-ables, and replace the mouthpiece. Press the button three times, the temperature within the chamber rises to your desired level and the screen reveals a three (or five) minute countdown. It takes about 20 seconds for the chamber to reach the right temperature, then the vape will vibrate alerting you it’s ready for use. Pulls produce slightly heated smoke, and the dry heating technique keeps the flavor and scent of your herb intact. The plant material is continuously heated and you’re able to pull from the mouthpiece for consistent hits throughout the entire countdown. Once the countdown runs out and you’ve hit the vape to your hearts content, the screen says “goodbye” and the vaporizer vibrates to let you know it’s shutting off. 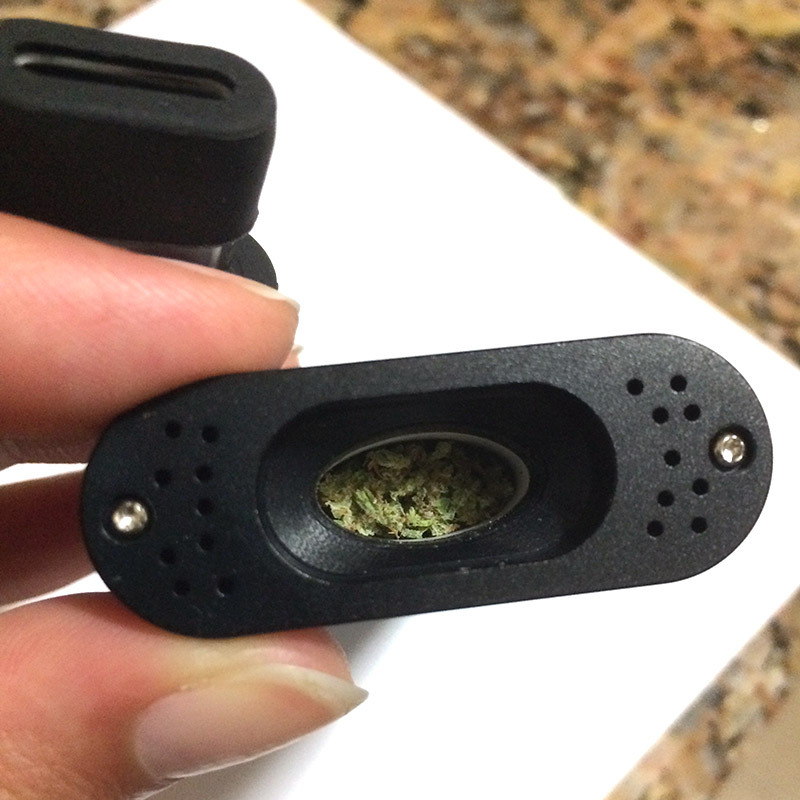 Remove the mouthpiece to reveal that your herb has been literally vaped dry. Dump the remnants in the trash and swipe the chamber with the included cleaning brush and you’re ready to reload. It’s that simple! We packed a small chamber full of our favorite strain and were impressed with the simplicity, quality and consistency of the vape’s performance. The chamber can accommodate small bowls of loose material but the capacity may be a bit small for heavy smokers. We found that well ground up herb heated to 405 degrees F worked best. We could taste the particular terpenes of our strain more so than from traditional smoking methods. However, the vapor also had a slightly metallic/nutty taste every time we used it, regardless of strain or if the device had been cleaned prior to use. 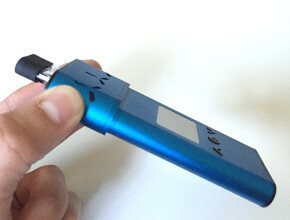 Unlike most cannabis oil vape pens, the vapor produced by the AirVape Xs resulted in a strong herb smell, even long after use, while the device was cooling down. Because of the smell, we recommend using the dry herb in situations where extreme discretion is not a big concern (AirVape is coming out with the Xs Shell carrying case that will waterproof and protect against smell – available Fall 2016). Another thing to be aware of is that the AirVape Xs can get hot towards the end of the countdown but it seems to continue working fine as it cools down quickly after shut down. Unlike the PAX 2 vaporizer, which can detect motion and automatically powers down when not in use, the AirVape Xs continuously vapes flower material throughout the countdown (side note: the motion detection on the PAX is great in theory – but is actually not that effective). This may cause a loss of some precious herbal vapor – a small downside for those concerned about penny-pinching their greens. When we were sharing a fully loaded AirVape with a friend, it became a race to pass it back and forth while the countdown was on. This seems to be an issue with most dry herb vapes that take time to heat up so it’s not an issue we’d pin solely on the Xs vape. We recommend packing smaller, individual sized ground herb bowls into the chamber to use the vaporizer at your leisure without worrying about wasting any material. The effects from our vaped herb came on about 5-10 minutes later than if smoked from a traditional method (like a bong rip), and because the vapor is so clean, it’s hard to tell how much you’re consuming at first. Be careful not to over do it! Although not as laborious and disgusting as cleaning a wrecked to hell bong, there are a few small parts to keep track of and cleaning the AirVape can get sticky and gunky if it’s not kept up consistently. A clean AirVape is a happy vape! Available worldwide through the AirVape website. The AirVape company is convinced you’ll love their product so much that they offer a 30-day money back guarantee. 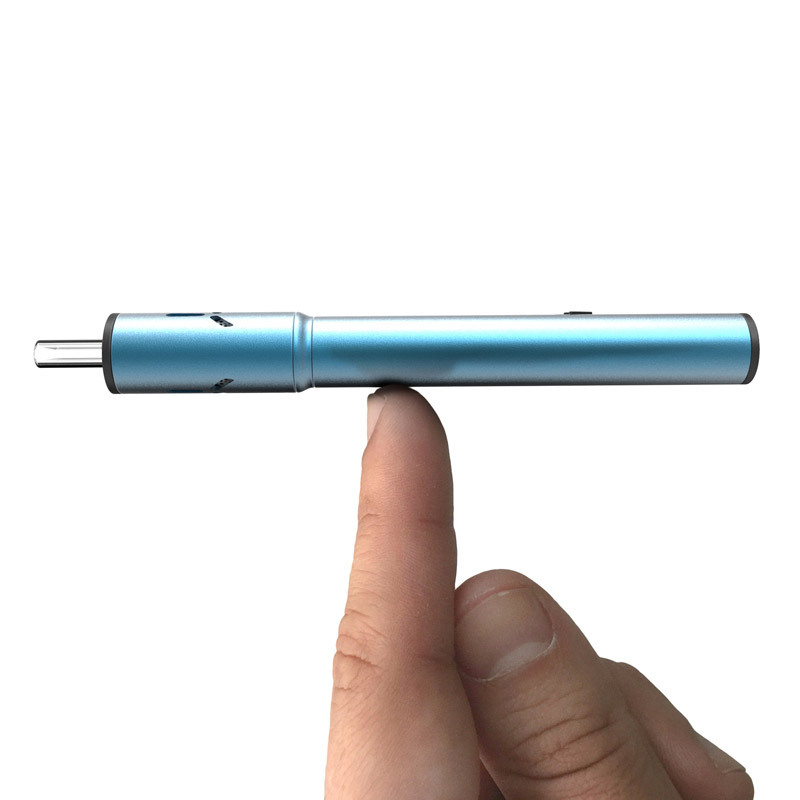 Each AirVape is also backed by a limited lifetime warranty (register on AirVapeUSA.com). Vaping Accessories – Need a grinder to go with your dry herb vape? Check out this nifty, multi-function Rocket Grinder keychain. 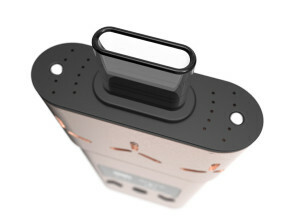 AirVape also offers a waterproof carrying case to protect your vape. Rather than potentially burning away the good stuff, the natural flavors and scents are kept when they are vaporized. Good news: THC, CBD and terpenes are more efficiently released from your plant material by vaping. Even better news: the unhealthy results of combustion (that gunky stuff left in your bowl and probably in your lungs!) is significantly lessened. Vaporizing virtually eliminates most of the smoke, odor and second-hand smoking that you will find with traditional smoking methods. The question is, why aren’t you vaping already?